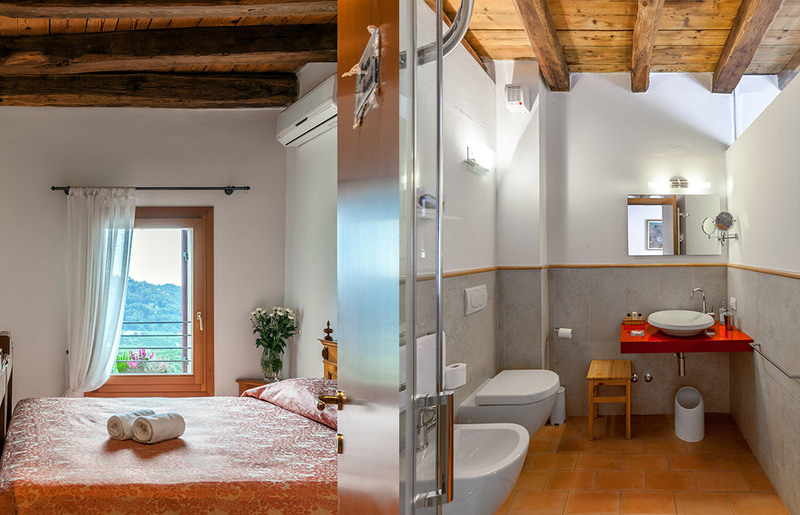 This elegant room and bathroom are furnished in “old style” fashion. The linen curtains have a beautiful hemstich like our grandmothers used to embroider. The damask bedcover is like the ones the elegant ladies of the past liked. The bathroom has a terracotta-tiled floor and the sink is like an 19th century washbasin. 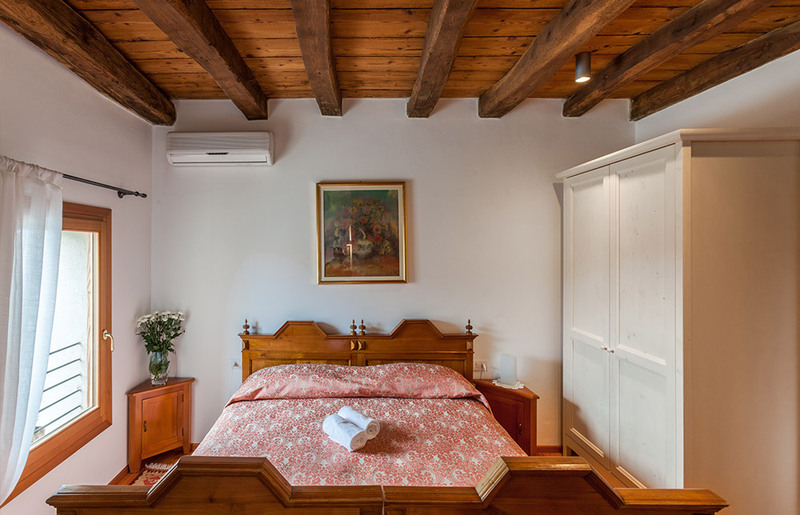 The bed is an original piece from the beginning of last century from which the old structure was taken off and substituted with modern wood bed-springs and with the latest mattresses for an “old-style”, but comfortable holiday. The floor is of brushed larch wood. Looking out from the big windows you can admire the view of the vineyards and relax your mind and body by taking in the bizarre lines of the hills below.